Andrea's World Reviews: $50 Midnight Velvet Gift Certificate Giveaway! Spring is nearly here. I know for many of you that means finally escaping the snow. That also means ditching the winter wardrobe and stepping into spring fashions. Of course you can break out last years spring favorites, but if you're anything like me, you love getting at least a few new pieces as well. Whether it be a slamming pair of shoes or gorgeous handbag, an elegant new dress, or the perfect pair of jeans, new clothes and accessories can make you feel like a million buck, and look like it too. The transition from winter to spring does not stop at clothing, the dark shades of winter are replaced with lighter spring tones for cosmetics as well. At least most people I know alternate colors for different seasons. I pretty much have a set color palette that I stick to, but even still, treating yourself to some new spring cosmetics could never be a bad idea. And for those of you not as focused on changing your personal look, there is still so much that changes with spring. If you partake in spring cleaning, your home gets a nice makeover, but if all you do is clean, it is kind of a missed opportunity in my opinion. I like to take advantage of Spring cleaning by adding a new statement piece to my home. No matter which of these items you are looking for, there is one fantastic place to get them all, Midnight Velvet. Midnight Velvet has so many incredible item. I could easily go into debt shopping there. As incredible as their clothes, shoes, makeup and accessories are, I fell deep in love with a home decor piece that I just had to have. 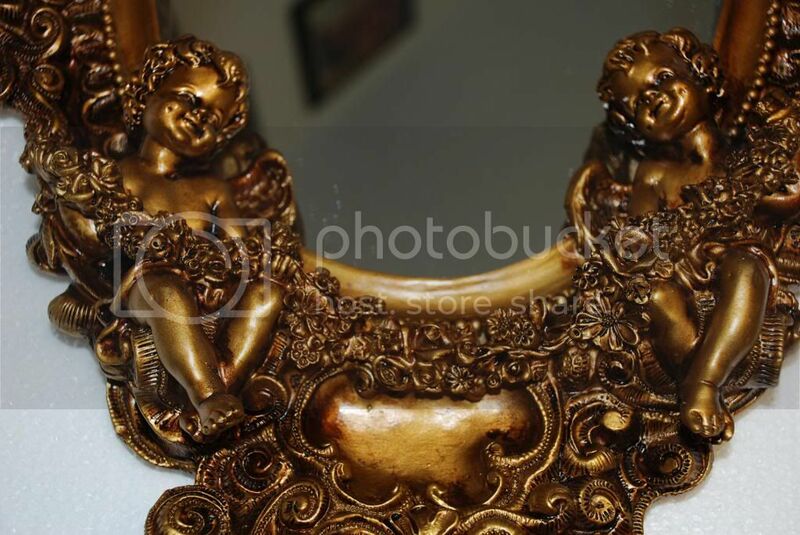 I got this amazing Golden Cherub Mirror. This mirror is so well made. It is very solid and made to last a lifetime. The color is stunning. It gives it a very vintage look, which I adore. 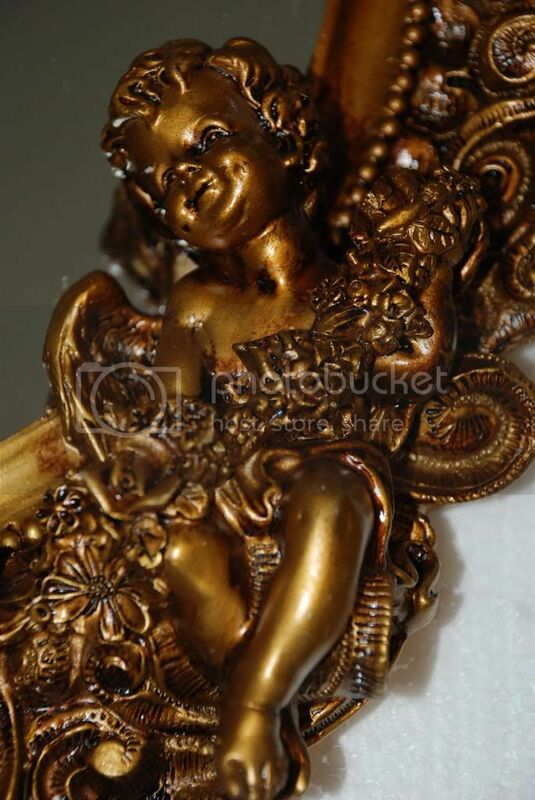 It is ornate, but not gaudy or over the top, and I love all the incredible detail, especially the precious cherubs. 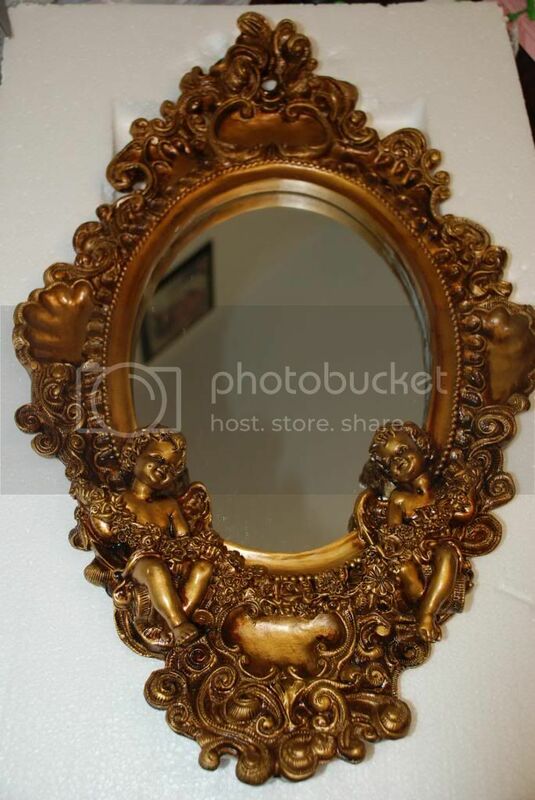 I was so captivated by this lovely mirror, that I got it with no set space in mind. Since I have not finished(or even started) my spring cleaning, I am still not sure where this will go, although I am leaning toward the master bathroom, this goes perfectly with the light fixture I have in there. Although, this is so beautiful that I want every visitor to see it, so I am trying to find a place in the living room or dining room for it. If you are looking to spring into something fabulous for yourself or your home, I cannot emphasize Midnight Velvet nearly enough. The only problem(if there is one), is that you'll want almost everything they sell, and could potentially overspend. To help keep one of you from overspending too much, we are giving away a $50 Midnight Velvet Gift Certificate to one very lucky winner. Enter below for your chance. Good luck. And to ensure you are always in the know, be sure to stay connected to Midnight Velvet. I like the Mariposa comforter. I like the satin sheet set in white. I saw many items that I like on the website but one is the Draped Faux Fur Throws. Amazing giveaway thanks... I love there Handbags really good stuff so fashion and high quality.